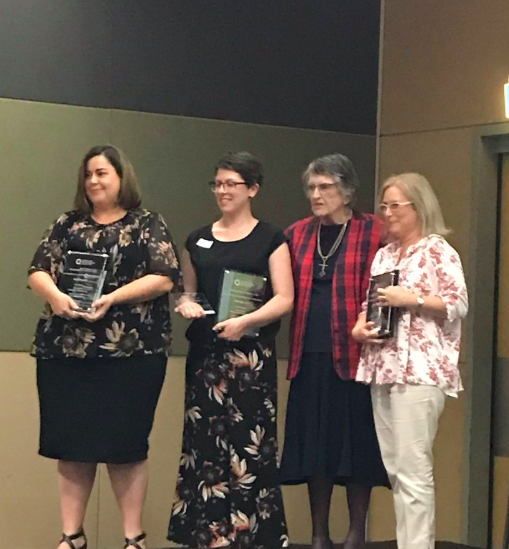 Congratulations to Mrs Helen Stower who was the recipient of the Queensland Teacher Librarian of the Year award at the recent Future Libraries Conference. She was the joint recipient of the award along with Tania Venuto from West End State School. 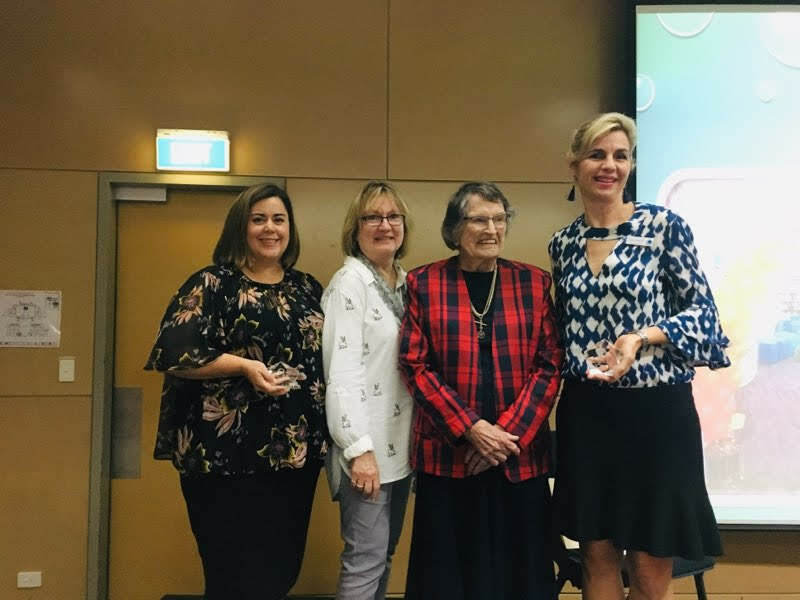 This is an annual award to encourage exceptional school teacher-librarians and recognise outstanding contributions to teacher-librarianship by exemplary contribution to teaching and learning in their schools, innovative practice and advocacy for the teacher-librarian profession. 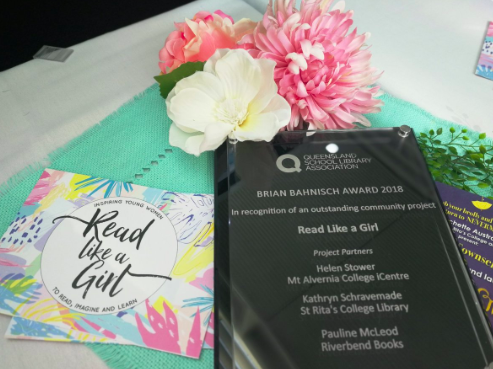 As well, Mrs Stower was also the joint recipient of the Brian Bahnisch Award along with St. Rita’s College and Riverbend Books for their innovative Read Like a Girl program. 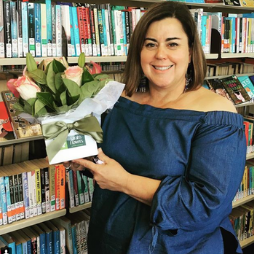 This is a biennial award to recognise and encourage collaborations and partnerships involving teacher-librarians, teachers and members of the school and/or wider community. Congratulations go to everyone involved in the program which was designed to help girls to succeed by igniting a love of reading. It was started in response to research showing that the proportion of girls aged 14+ who read books has decreased in recent years. Campfires, author visits, bookclubs, writing workshops, and father and daughter events are just some of the literacy experiences that have been organised to encourage and inspire girls on their reading journeys as the program evolves and expands each year.